Customer needs analysis is the process of identifying what requirements the customers has for a product or service. It’s used in a variety of product and brand management contexts, including concept development, product development, Value Analysis, and Means-End Analysis or Customer Value Analysis. The goal of a customer needs analysis survey is to understand the customers’ needs and their position in the overall market. Means-end analysis identifies linkages between three areas of product and customer interaction. The first area is the product features and attributes. The second area is the real and perceived benefits that a customer will receive from the use of the product. 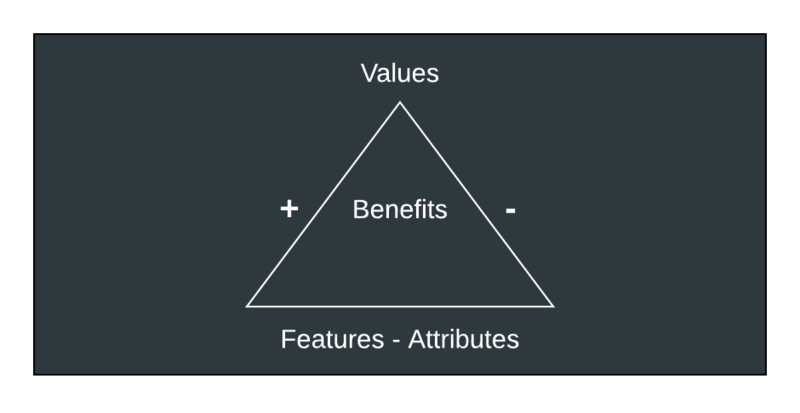 The third area is the unique values or traits of a customer that will enable them to experience those underlying benefits, such as functional, physical, financial, social, and psychological traits. A Qualtrics Study for the development of a new bank credit card found that nine attributes were critical to consumers considering a new card: no annual fee, status, low-interest rate, added value features, acceptance, credit limit, ability to carry a balance, location of the sponsoring bank, and availability. These attributes were found to be linked to 12 benefits (consequences) that were perceived as part of card usage: not feeling cheated, independence, convenience, dependability, and saving money. Brand attitude tells us what consumers think of a brand or product and if it solves a particular need. When developing customer analysis surveys, it’s important to determine the consumer’s brand attitude. Positive and negative associations for the brand or product category are elicited, along with reasons why the characteristic is viewed that way. Top-of-mind studies are used to uncover the attributes and consequences that distinguish the characteristic. Identifies similar and dissimilar brand groupings within a product category and the reasons for this perceived similarity or dissimilarity. The primary reasons, most important attributes, and most representative brands are identified, and attributes and consequences are laddered. The usage context for a brand or product is critical in marketing. Physical occasions (place, time, people), or need state occasions (relaxing, rejuvenating, building relationships, feeling powerful, reducing stress, and getting organized) may exist. A brand or product is associated with a usage context that is critical in effective positioning and advertising. Comparing brands based on personal preference or usage is a common distinguishing point for brands. Groupings by similarity and dissimilarity also provide a direct method of distinguishing between brands. Success critical attributes and consequences are identified that lead to higher market performance. Issues are often related to product or brand choice and usage. For example, a respondent might be asked to identify products used for relief of a stuffy nose across several stages like onset, full-blown, and on-the-mend, or daytime and nighttime. Brand preference is identified for each time-related stage. Past and expected future usage of a brand is instrumental in identifying attributes and consequences that lead to different usage patterns. For example, respondents may be asked, “Will this brand be used more often, less often, or about the same as you have used it in the past?” Then, reasons for increased, decreased, or unchanged usage are determined. The follow-up analysis of reasons for trends produces a vivid insight into market drivers and potential areas of market growth. Alternative uses are presented to the respondent to determine if and why the brand is present or absent from the choice set. Questions might be phrased to ask, “Why would you consider using Brand A for this occasion?”, or “What is keeping you from using Brand A for this occasion now?” Both positive reasons why a brand fits a new occasion and negative reasons why it does not fit can be elicited. Alternative usage occasion analysis identifies market segments and details how to approach them. Customer needs analysis surveys identify what your customer’s true needs are so you can meet their expectations and design your products to solve their needs. This allows you to create value-based products and increase your share of wallet. With the Qualtrics experience management platform, you can build surveys and dive deep into your customer’s mind to gain the insights necessary for change.